Beginning August 14, Def Leppard will bring the “Hysteria” to fans in Las Vegas for their second-ever Sin City residency. Fans can expect to hear all the group’s greatest hits, including “Pour Some Sugar on Me,” “Love Bites,” “Rock of Ages,” “Photograph,” “Hysteria,” “Armageddon It,” and many more! Shows are set to run through September 7. But that’s not all the rock legends have to look forward to – this Friday, Def Leppard will be inducted to the Rock And Roll Hall of Fame by Queen guitarist Brian May. The band’s current lineup of Elliot, Rick Allen, Vivian Campbell, Phil Colleen, and Rick Savage are listed, as well as late guitarist Steve Clark and original guitarist Pete Willis. The Rock and Roll Hall of Fame induction ceremony is set to take place this Friday, March 29 at Brooklyn, NY’s Barclays Center. Considered one of the definitive hard rock bands of the 1980s, Def Leppard emerged in the late ’70s as part of the New Wave of British Heavy Metal taking over the music scene. 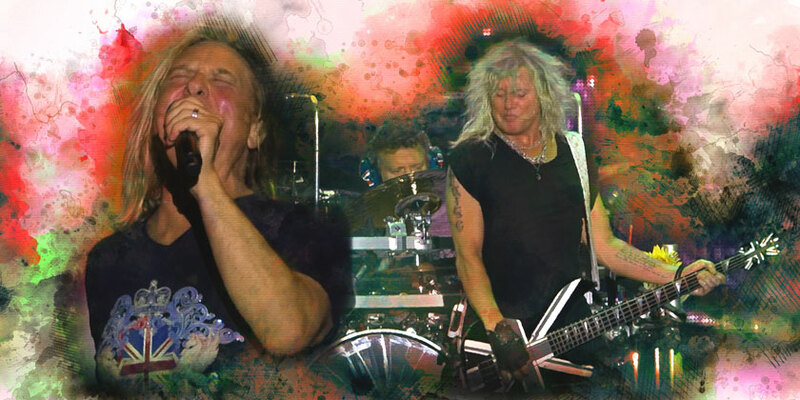 The group achieved international, crossover success with the release of their third album Pyromania in 1983, marking a shift away from their heavy metal roots toward a more radio-friendly “glam metal”/hard rock vibe. Pyromania found massive mainstream success, reaching number two on the Billboard 200 on the strength of hit singles like “Photograph” and “Rock of Ages.” Hysteria followed in 1987, spawning seven hit singles including “Pour Some Sugar on Me.” The album sold over 25 million copies worldwide and remains Leppard’s best-selling album to date. Both Pyromania and Hysteria have been certified Diamond by the RIAA, placing Leppard in the ranks amongst only four other bands to have two original albums sell over 10 million copies in the US - the Beatles, Led Zeppelin, Pink Floyd, and Van Halen. Def Leppard continued to dominate the charts with subsequent releases Adrenalize (1992) and Retro Active (1993). They have released a total of 11 studio albums to date and are considered one of the world’s best-selling artists, selling over 100 million units worldwide. Leppard has been citied as influencing a broad range of musicians including heavy metal/thrash bands like Slayer, Pantera, and Metallica, and contemporary artists including Taylor Swift and Matthew Nathanson. 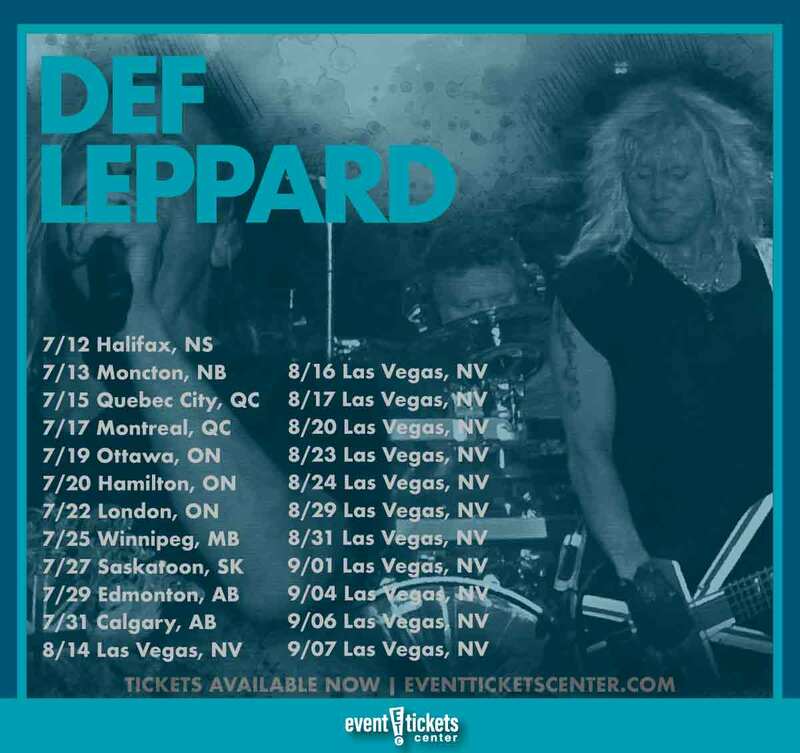 Where is Def Leppard playing near me?